To get some sense of the changing tone with which the USA talks about this, it is worth comparing some comedies from different years. 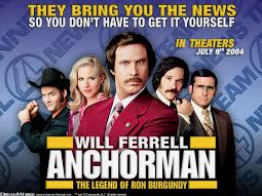 For instance, His Girl Friday, from 1940, and Anchorman: The Legend Of Ron Burgundy in 2004. In Anchorman, much of the humor amounts to “This woman wants a highly paid white collar professional job, how are the guys supposed to handle that?” In His Girl Friday, the assumptions are the other way around, Rosalind Russel claims she wants to get married and go away and give up on the damned game of journalism, but Cary Grant knows that, deep down, she loves journalism and she can’t ever truly walk away from it, the only question is how much fast talk does he have to pull to get her to say yes to taking another assignment with him. He’s a kind of rotten guy, so she’s got a legitimate reason for putting distance between herself and him, but she’s got no legitimate reason for putting distance between herself and journalism. 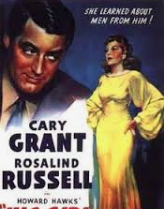 Of the two movies, the one from 1940 is about a guy who is comfortable working with a savvy, intelligent woman. I won’t belabor the point. Anyone with eyes and ears has been aware that the USA has been at war with women for awhile now. Susan Faludi wrote her book Backlash back in 1991, and I think that book caught the beginning of the new, negative era.